Here are two references I loved enough to make room on my shelf. 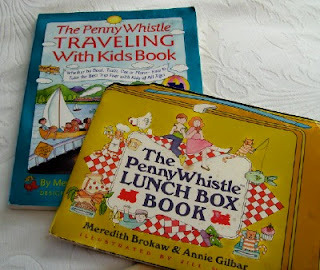 The PennyWhistle Traveling With Kids and the Penny Whistle Lunch Box Book are packed with wholesome, make-it-yourself ideas. They were written by Meredith Brokaw (Tom's wife) and Annie Gilbar.